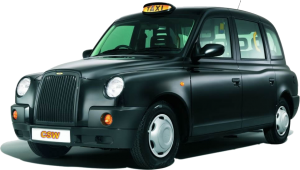 We offer an airport taxi transfer service from Plymouth to Bristol from just £130 One Way. Inside our comfortable airport transfer you will find. Free 3G / 4G Wifi. Room for up to 20 pieces of luggage. Comfortable seating for up to 9 people. Children’s seats can be provided at no extra cost. Travel rugs are provided as standard. The benefits with travelling with Connections South West. We will pick you up at your front door. Dedicated vehicles supplied with Professional Trained Drivers. All our drivers are fully insured and first aid trained. We have a Meet and Greet service available. Specialist in providing secure and luxury chauffeur hire. Get you to the airport terminal at the guaranteed time. We can help with our ‘Help at Check-in’ service. Unload your luggage and assist you at the airport. Stop at service stations if required. View our full price list for all other major airports and destinations, including London Gatwick and Heathrow.